AKIPRESS.COM - Kyrgyzstan national team agreed to take part in the kokpar (tradition goat dragging game) championship in Astana after the organizers allowed the horseshoes on hind legs. Kyrgyzstan will face Mongolia, the match is set for August 21, the Federation of Kok-Boru of Kyrgyzstan said. The match will follow the official opening ceremony set for 17:00 Bishkek time. 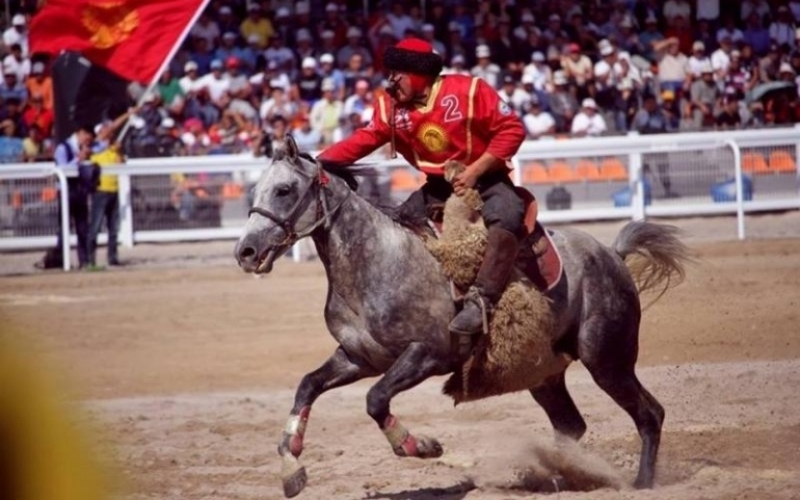 Kyrgyzstan national team refused to take part in the kokpar championship after the organizers requested Kyrgyz team to take off the horseshoes from the hind legs. The team declined to play against Mongolia in the first round and organizers acknowledged the technical loss of Kyrgyzstan with the score of 0-7.